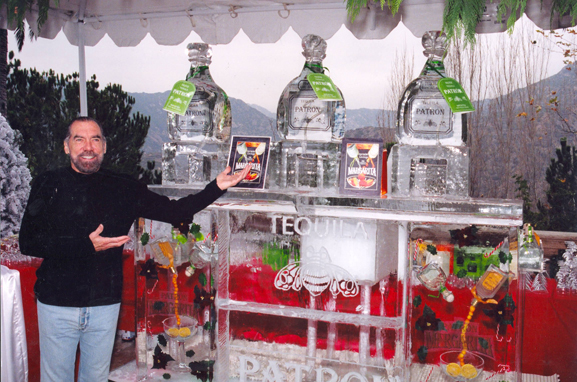 As it turned out, America was ready, it took off really strongly and then it really took off.” Today, the Patrón Spirits Company is, as the company touts, the number-one brand of premium tequila in the world. Jean Paul DeJoria with Jean Paul Pet spokesdogs. Always on the cutting edge, DeJoria has started a new venture, John Paul Pet, with the mission to “create products for the pets where the pets participate.” DeJoria’s Golden Retriever, Jack, helped pick out the scents for the shampoo. The products match the pH of the species, and there is a line for both dogs and cats. As DeJoria explains, John Paul Pet started when “my friend John Capra wanted to develop a pet line, and he came to me with the idea. I said, ‘It’s a deal—as long as we support animal welfare associations.’” Consequently, John Paul Pet is an avid supporter of Last Chance for Animals, the World Wildlife Federation, the Sea Shepherd Conservation Society, the Humane Society of the United States, and PAWS, to name a few. Looking back over what he has created and co-created, DeJoria says “it’s much more” than he ever imagined, and his outlook remains positive. “The world is becoming a better place. The frequency of our planet is rising. It’s going to be a better place as the years go on for more and more people. More people are getting involved doing things to change people’s lives for the better.” It’s a refreshing outlook from a prolific creator not just in the business world: DeJoria is father to six children with his wife, Eloise Broady.